Well, I can’t believe I’m finally ready to show you all what I’ve been busy with this past year, having had sleepless nights and days when my kitchen has looked more like a laboratory than a place to prepare food. 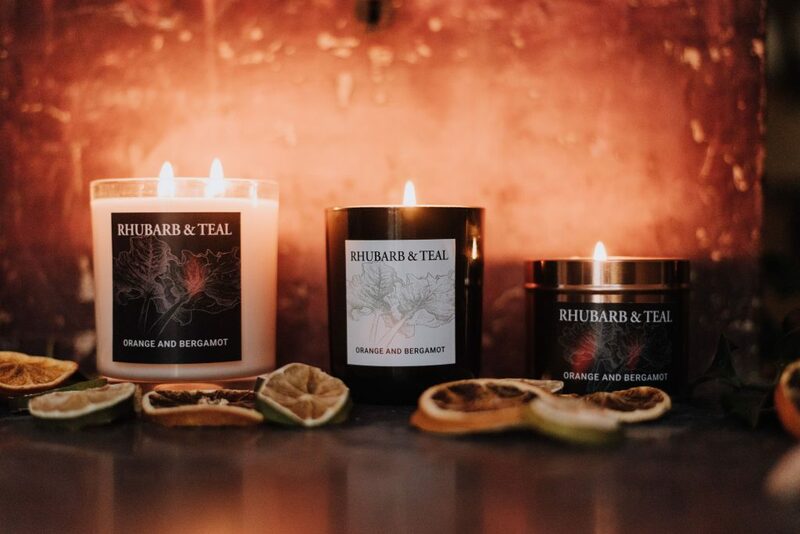 My hard work has finally paid off and I’m ready to introduce Rhubarb and Teal’s new luxury candle range. I’ve learnt an awful lot on my journey which I will pass onto you all… like the fact that all candles should be burnt for 3 hours on the first burn to stop a “memory ring” forming. This is when a candle is lit, then extinguished, before the wax has melted to the edge. If its not allowed to burn to the edge on the first burn then it will never burn to the edges. Also, make sure the wick is trimmed before every burn to get the very best burn from your candle. All simple things to do if you know about them! Lots more info to share with you over future blogs too. With Christmas fast approaching and the nights drawing in, what better time to introduce our new range. The range will continue to grow throughout the year with the launch of amazing new scents, special offers and events for you all to enjoy. For regular purchasers of our candles, you will have the chance to join our elite members lounge where you will be the first to trial new scents, have executive offers and attend exclusive events. More news to follow in the new year! Finally, before I sign off, I would love to tell you all about our “recommend someone special” section that you will see at the checkout page. Every month we will be giving a candle away for free to someone who you think deserves it – whether they have been having a hard time of late or are just a wonderful person, we would love to hear about it. One lucky person will then be chosen at the end of each month – its that simple as we believe its simple acts of kindness that mean the most. Thank you for reading and you enjoy your first purchase of our candles!